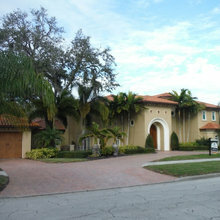 Please visit us online at www.sunbaybuilders.com to request a free consultation & quote. 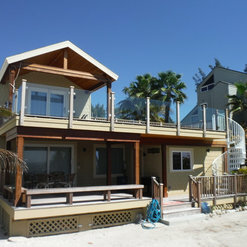 Sun Bay Builders Inc. has been family owned & operated since 1987. We specialize in residential and commercial construction, servicing all of Tampa Bay. Our mission is to build projects for our customers that are of the highest quality and within budget - resulting in total satisfaction. Sun Bay Builders measures success through an ability to create each customer's vision into a reality that will stand the test of time. 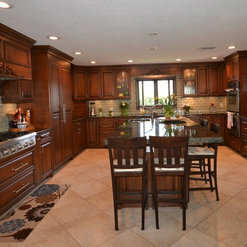 Our areas of expertise include custom homes, room additions, renovations, kitchens, baths, home improvements, and more. 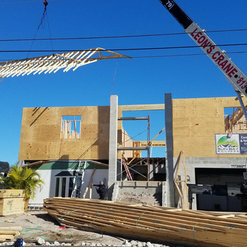 Our Design/Build process establishes a point of accountability throughout the project, integrating design, budget, work scope, selections, construction management, and other main components to create a smooth project from start to finish. 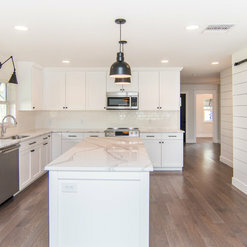 9 Projects for Sun Bay Builders Inc.
7 Reviews for Sun Bay Builders Inc.
We had a fantastic experience with Sun Bay Builders. They did a complete renovation and addition to our 1980’s home. Basically everything was renovated or replaced down to the studs and a new family room, master bathroom and porch were added. Mike Miano, Superintendent Jason, and their entire team were very professional during the process and were very responsive to our many requests and change orders. They are a very ethical and professional company and provided quality workmanship with great attention to details. We would not hesitate to use Sun Bay again on any future construction projects. Good afternoon. We sincerely appreciate you taking the time to share a little about your experience. So pleased we could meet and exceed your expectations! We look forward to working together again in the future if the need presents itself. 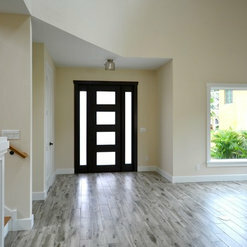 Sun Bay Builders did a room addition for us a couple of years ago and we couldn’t be happier with the results. They were very communicative every step of the way which we obviously appreciated a lot. If we were ever stuck on a decision, they were extremely helpful in talking it through with us. One thing I noticed that I don’t think many contractors do, is they made sure to clean up after themselves each day. Anyone who has had work done knows how messy it can get and I was pleasantly surprised to see a clean work area after they left. Little details like that go a long way. I am excited to say that we have hired Sun Bay Builders again for our upcoming garage addition and kitchen remodel. If you’re in need of a quality Contractor, we highly recommend Sun Bay Builders and their team for your next project. 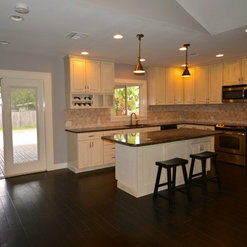 I honestly can't say enough about the wonderful experience we had with Sunbay Builders for our remodel. From the initial meeting, through the final steps of the project, our expectations were exceeded. They were very conscious of our budget, and gave us options for alternatives and upgrades with that in mind. We found them to be timely, honest, communicative, and friendly. As a total construction novices, I always felt like we were in such good hands with Mike and Jason. They answered when we called and took the time to explain every little detail along the way. Of course no remodel is complete without its setbacks, but the care they took to respond quickly and efficiently to any issues was first class. Thank you, Sunbay. We've dreamed about this project for the better part of a decade and absolutely love our new space. Sunbay Builders did a good job. The project was on budget and completed in the timeframe we agreed to. This was a large project (400K) with a number of difficult architectural aspects that Chip and Mike handled well. 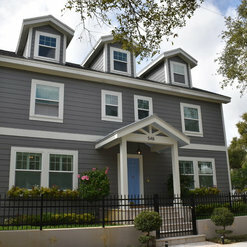 Sun Bay builders did a major remodel to our home in St Petersburg, FL. This included expanding our kitchen, adding a new bathroom and remodeling two others. They enclosed our porch and we now have a wonderful area to entertain outside. We worked closely with them to have tile choices, paint colors, bathroom fixtures, lighting, and new appliances selected and delivered to keep the project moving forward. They answered all of our questions and concerns . They were very reliable and consummate professionals. 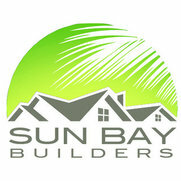 1 Ideabook for Sun Bay Builders Inc.
Sun Bay Builders Inc. is following J. S. Perry & Co., Inc.